His two-year stay in Hong Kong, his first mission, came after a hard journey from Italy in a small ship where he vomited daily from seasickness. Fr Joseph Tan Lei Tao SVD, inspired by Freinademetz, produced the show to coincide with the saint’s 140th anniversary of arrival in Hong Kong in 1879. His mission was on a small salt producing island in Sai Kung district, Yim Tin Tsai island which, with its award winning chapel, has become a local tourist attraction. St Joseph’s Chapel was rebuilt in 1890 in Italian romanesque style. After renovation it earned Award of Merit in 2005 by UNESCO Asia-Pacific Heritage Awards. The musical is based on the book of lifelong letters of Freinademetz. The Society of the Divine Word (SVD) sends missionaries to establish new or strengthen old missions in over 70 countries. The show’s producer, SVD father Joseph Tan Lei Tao said Freinademetz’s story is a passion for him, and inspired him to be a missonary too. The show focuses on the Austrian’s spiritual calling for the mission, where he worked, his life journey and death. 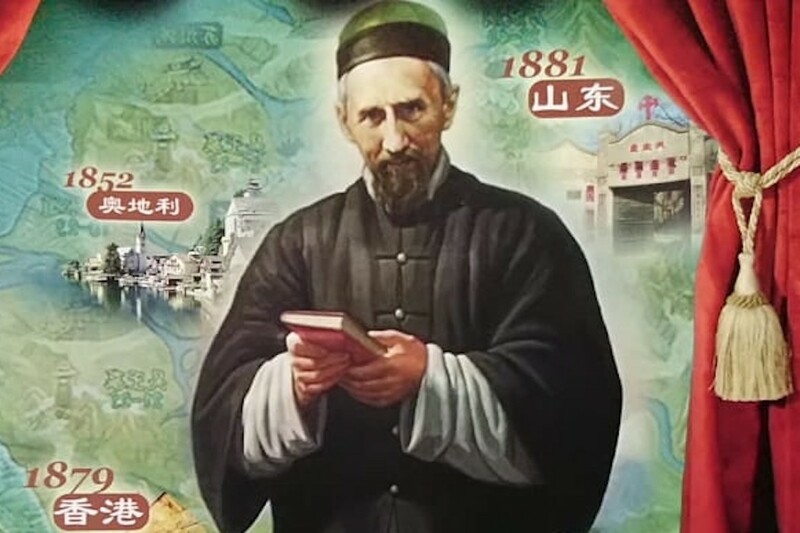 Shortly before he became a priest, as a seminarian, Freinademetz made his vocation to mission in China preparing himself in the Netherlands as a novitiate missionary, as well as at his home in Austria where he had support from friends teachers and colleagues. Before he came to Hong Kong he had learned to speak and write (Hebei dialect) Chinese from a priest from China in the Netherlands. In Hong Kong he learned Cantonese and Hakka and began to adapt himself to Chinese culture. Tan said especially new immigrants need to “feel a little bit home.” But he added at least today in Hong Kong that attitude towards immigrants from the mainland is lacking in many locals. 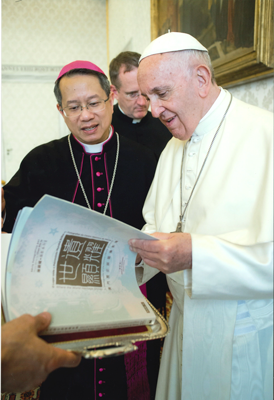 SVD is also linked to Macau through an Overseas Training Progam seminary and one parish, Fatima. “Macau is the mother of the Church in China. Everything came from there first.” Hong Kong Catholics and its first church began in 1820s, centuries after Macau. The musical is tentatively planned for Easter 2019. BITE-SIZE THEOLOGY (28) – What are the characteristics of faith? BEFORE THE CROSS – What does Christ’s Passion mean for you?